Mr and Mrs B. formerly of Iden Green were moving to Broad Oak and were leaving the original hall shoe seat we made behind. Sussex Bookcase Company were commissioned to make the mk 2 version which was designed to be fully fitted in the new hallway. The cabinet was constructed in Tulipwood and moisture resistant board and painted in a cream spray finish. 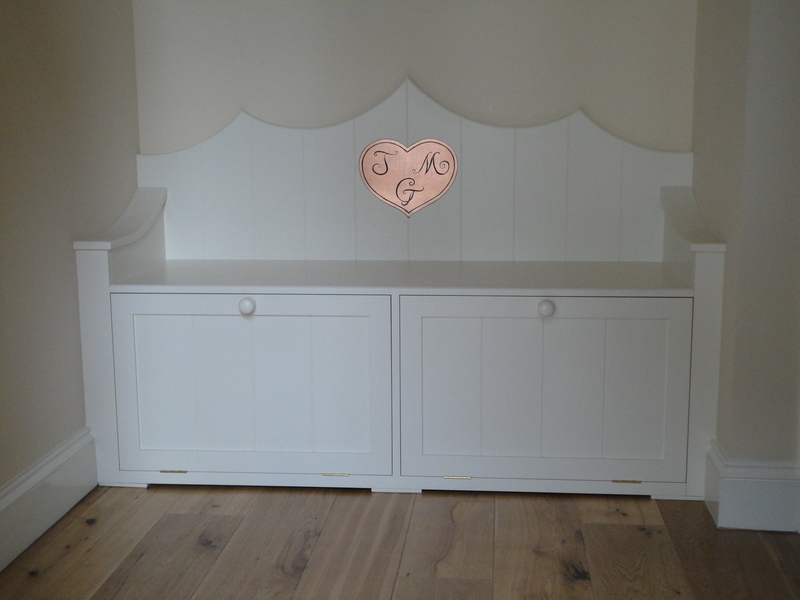 This item is highly personalised with a copper leaf heart and monogram. Email Nick on 2nickholt@gmail.com for an appointment or home visit.